Castle of Heart has just been announced for the Nintendo Switch and will arrive sometime later this quarter (by the end of March). The game features a medieval setting and you control a cursed knight who has been turned to stone by an evil sorcerer. The developers promise 20 levels of action-platforming fun. Price and exact date haven’t been announced at this time. Castle of Heart is a classic action platformer at the genre’s best and most challenging, with plentiful of new twists on the formula to experience. Players take control of a cursed knight who has been turned to stone by an evil sorcerer’s spell, but who is ready to prove that love and courage can conquer even the darkest magic. Your brave hero must travel all the way from their petrified village to the dark ruler’s castle, mastering 20 levels set in 4 distinct environments. Each is full of enemies that require different strategies to be beaten successfully and includes sudden gameplay changes. All this translates into exciting, dynamic action sequences. The selection of progressively more powerful weapons, from the humble sword to a powerful magical arsenal, as well as power-ups, will aid your hero in their quest. But remember: a body of stone has its limits! It disintegrates permanently as the knight loses energy, which can only be supplied by defeating enemies. If you let it reach a critical level, your hero may lose an arm and the ability to wield weapons with it. Castle of Heart offers beautiful and detailed 3D graphics with changing landscapes, weather conditions, and rich backgrounds. The game’s aesthetics and bestiary are equal parts inspired by Slavic mythology (with some locations straight from famous, mystical locations in Poland, the developers’ home country) and the dark fantasy atmosphere of the best action platformer titles from the golden age of the genre. 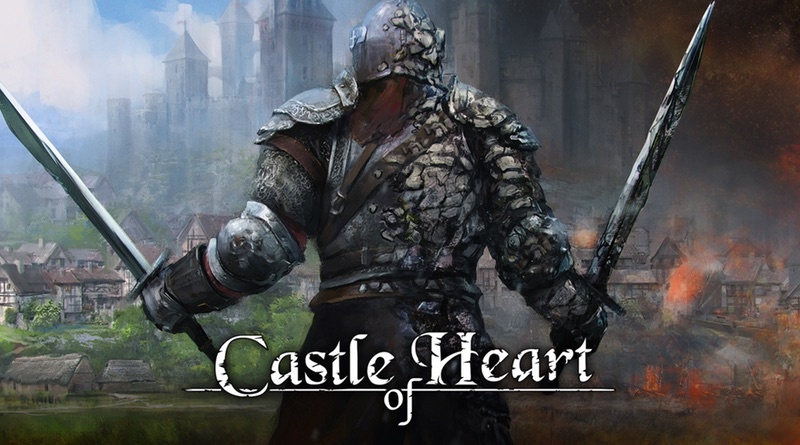 All of this makes Castle of Heart a perfect mix of classic influences and modern approaches, utilizing the spectrum of the Switch’s features, which will enchant both fans of the genre and newcomers. Castle of Heart will launch exclusively on the Nintendo Switch in Q1 2018.